After the mad rush of Mother’s day last week its a bit less frantic at the moment so I hope to get a few of my overdue projects started and a few overdue ones finally on the website, Ever the optimised lol. We have however added our wonderful personalised I.D bracelet for you wonderful people to purchase if you wish, Should have been a salesman with that pitch lol. 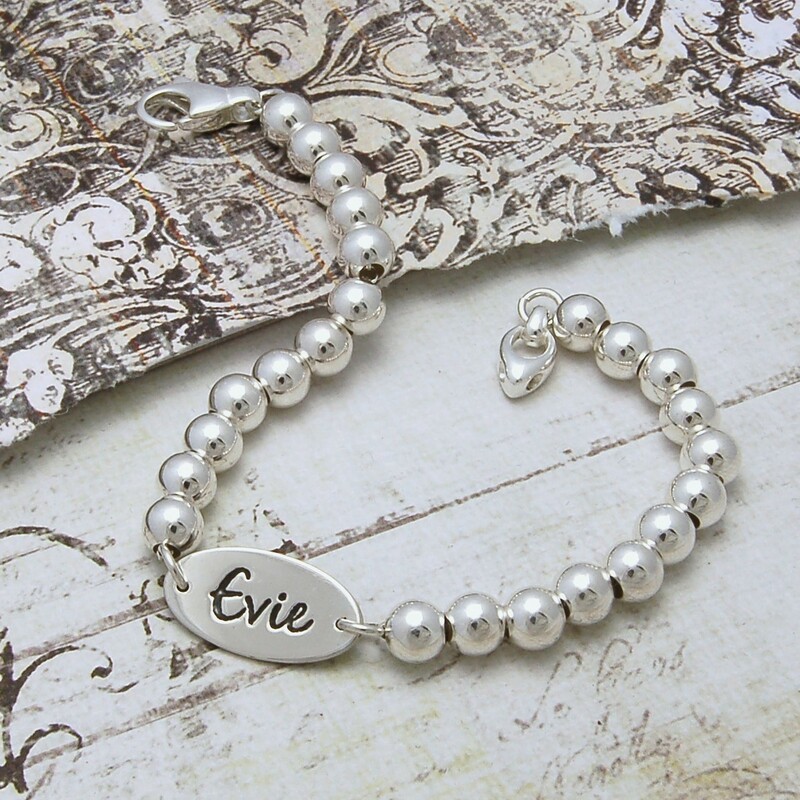 We had quite a few designs for an I.D bracelet and hope to maybe make a couple more with very different designs.We chose this design because of the oval tag we use for our other personalised pieces and the fact that it works really well with the silver balls. We have had to cut down on the number of letters or numbers you can have on the tag due to it being drilled on both sides but looking into getting a bigger oval just have to see if it fits in with the design. 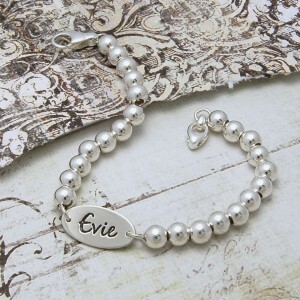 Personalised items are all the rage at the moment so its tricky to come up with new ideas to make it unique to us but I think we pulled this one off due to our style and design which is unique to us. All I see at the minute is that one person has a bright idea and then everyone and their dog copies it, drives me mad! Think of your own designs lazy people! Alright enough of my man bitchiness lol. Just like to thank those who bought our new Mummy keyring for Mother’s day it was worth the rushed effort to get it on the website, Was very manic but got there in the end.OK going now just leave you with a photo of our I.D bracelet.